By slashing output 19 per cent -- to 42 airplanes a month by mid-April -- Boeing will be able to reduce its spending on the 737 and preserve cash. As work slows in a Boeing factory south of Seattle, two key suppliers, CFM International and Spirit AeroSystems Holdings Inc., indicated they would continue full-tilt at the current record pace. Before the Lion Air and Ethiopian Airlines crashes, Boeing had planned to raise output of the 737, a workhorse for budget carriers, about 10 per cent by midyear. The reversal squeezes suppliers who’d hired workers and invested to expand capacity. Some had already started moving toward a 57-jet monthly pace under a carefully orchestrated schedule. Maintaining the status quo will “help ensure the stability of the global CFM supply chain,” Jamie Jewell, a CFM spokeswoman, said in a statement. Spirit AeroSystems, which makes the fuselages for the Max, said it plans to store the 737 fuselages and other components around its factories. "This staggered production approach allows us and our supply base to better prepare for and support 737 production," said CEO Tom Gentile. If regulators take their time in certifying Max’s return to the skies, Boeing would be forced to stash hundreds of factory-fresh jets in airports across the Western U.S. until commercial flights resume. 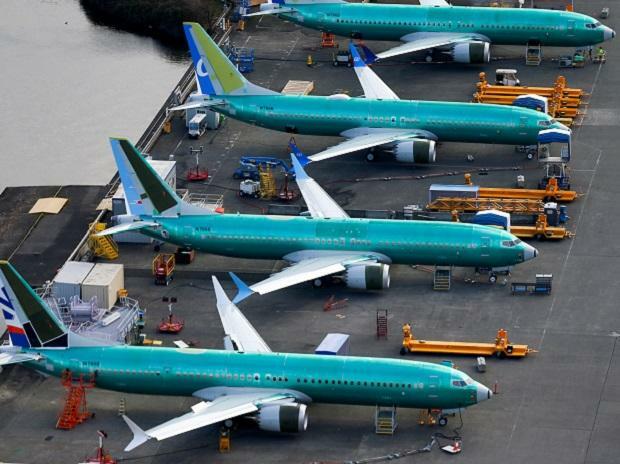 As of Friday, there were 21 of the jets stored at Paine Field north of Seattle, according to 737 production blogger Chris Edwards, and eight at Boeing Field to the city’s south. By establishing a common cause behind the two crashes, the Ethiopia report eliminates the worst-case scenario for Boeing -- a new technical issue that would’ve made it far more complex for Boeing engineers to resolve.